The State Agency for Housing Construction (MIDA) is launching the construction of a second residential complex. MIDA has announced a tender for construction work in the village of Hovsan on a plot of 20 hectares, where high-rise buildings, a school and a kindergarten will be built. Five seven-story houses, several ten-story buildings, a kindergarten that can accommodate 90 children, and a school which has 1,920 seats will be built withing the project. This will be the second residential complex built by MIDA. The first is located on the territory of the Yasamal district of Baku. The cost of these apartments is determined at a level below the average market price and is established by the Azerbaijan Mortgage and Credit Guarantee Fund. The price of one-room apartments starts from 29,925 manats ($17,587), the price of two-room apartments - from 47,282 manats ($27,788), the price of three-room apartments - from 65,625 manats ($38,568). The price includes VAT. In case of purchase of housing on a preferential mortgage (for 30 years with a 4 percent rate at 10 percent down payment), the monthly fee for 1 room apartment will be 129-136 manats, 2 rooms apartment - 203-236 manats, 3 rooms apartment - 282-288 manats. At a one-time full payment, citizens are given a discount of 10 percent. In this case, the cost of 1 room apartment will be 26,932 manats, 2 room apartment – 42,554 manats, 3 room apartment – 59,063 manats. There are two types of product, including social [maximum period 30 years] and standard mortgage [maximum period 25 years], while the annual interest rate on services amounts to 4 and 8 percent respectively. Mortgage is given only for an apartment or private house and its amount should not be more than 80 percent of the market price of the property. Mortgage payments cannot exceed 70 percent of borrower’s total monthly income. Every family/person who is entitled to use social mortgage loans can use these concessions only once. 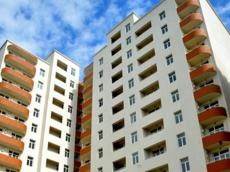 The purchase of apartments on the balance of the State Agency for Housing Construction is carried out through the “Güz? ?ttli m?nzil” (Preferential housing) electronic system on the e-government portal (www.e-gov.az). The right to purchase an apartment is obtained only by citizens who opened their cabinets in the “Güz? ?ttli m?nzil” electronic system.